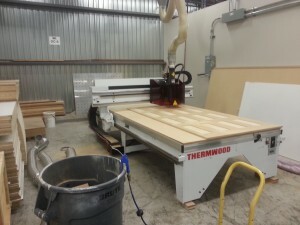 Ken Petrunick Custom Cabinets Ltd. a recent new Thermwood owner has been putting his new CNC router to good (great !) use. 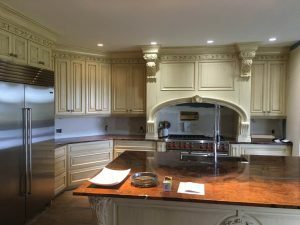 He is now cutting his own cabinets, MDF doors, curved mouldings and island fronts all with CNC Automation’s very own PANELMETRIX Software ! 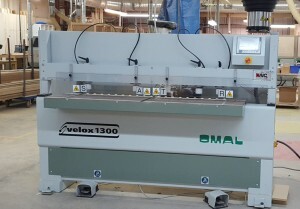 Another satisfied CNC Automation customer. 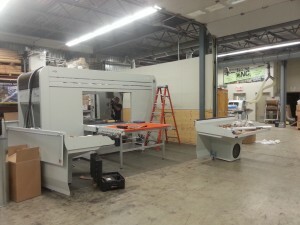 Building a better Workshop… with CNC Automation’s expertise ! This island front was made from a skid sheet of material… Took just over 7 minutes to complete ! Thank you for helping us make our Cefla I-Learn event a HUGE success ! 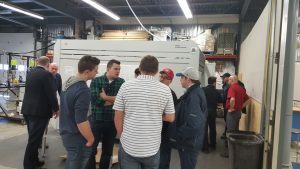 This past week CNC Automation partnered with Cefla to bring their annual i-Learn information seminar to Canada for the first time. Cefla Finishing systems have for many years run this educational event at their North Carolina Headquarters. 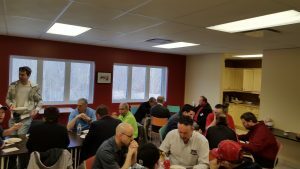 Participants were able to meet and discuss with our experts, we also showcased technologies available to reduce costs, reduce labor and improve consistency within sanding and finishing areas. This event was a wonderful opportunity for all attendees to discuss and hopefully resolve their finishing challenges with our technology experts. A huge thanks to all for making this event a success ! http://www.cncautomation.com/wp-content/uploads/2016/04/i-learn-TY_1.jpg 380 1000 admin http://www.cncautomation.com/wp-content/uploads/2018/02/Logo284x104.jpg admin2016-04-20 14:11:432016-04-20 14:39:21Thank you for helping us make our Cefla I-Learn event a HUGE success ! 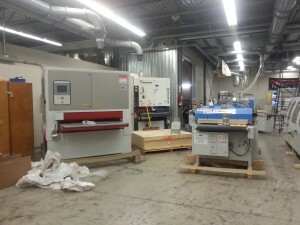 Getting it Done… CNC & CEFLA i-Learn Open House event less than 1 week away! 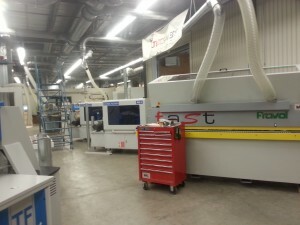 We are hard at work setting things up for our CNC & Cefla_ i-Learn Open House event, April 14th and 15th. This 2 day event is a great opportunity to see our machines in action & to meet and discuss with a variety of experts regarding technologies available to reduce costs, reduce labor and improve consistency within your sanding and finishing areas. Come JOIN US ! Contact us at ilearn@cncautomation.com to register. http://www.cncautomation.com/wp-content/uploads/2016/04/WP_20160408_006.jpg 2448 3264 admin http://www.cncautomation.com/wp-content/uploads/2018/02/Logo284x104.jpg admin2016-04-08 20:21:572016-04-08 20:42:56Getting it Done... CNC & CEFLA i-Learn Open House event less than 1 week away! REGISTER TODAY! For our i-learn Open House Event – April 14th & 15th. 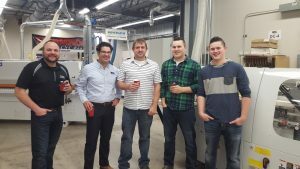 Don’t miss our CNC Automation & Cefla i-Learn Open-House Event ! 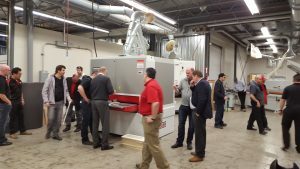 Small- and medium-sized companies intent on increasing productivity, reducing waste and improving surface finishing quality and consistency are invited to attend a special jointly hosted CNC Automation and Cefla i-learn event on April 14th and 15th. This hands-on educational event will be held during an open house at our state-of-the-art facility in St. Zotique, QC. 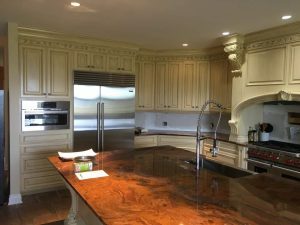 We will also feature other specifically selected machinery such as a Thermwood router, a Timesavers widebelt sander, a Loëwer brush sander and a Weber specialty sander. http://www.cncautomation.com/wp-content/uploads/2016/03/i-learn2016-2.jpg 317 833 admin http://www.cncautomation.com/wp-content/uploads/2018/02/Logo284x104.jpg admin2016-03-15 15:46:562016-05-18 16:03:06REGISTER TODAY! For our i-learn Open House Event - April 14th & 15th. 25 Years of Building Better Workshops… and making your Optimized Workshop a reality! Aligned with World Class Suppliers, we will help you choose the RIGHT machine for each step of your process. From Automation & Solutions, Software & Training to Service & Store… we are your ONE-STOP Shop. 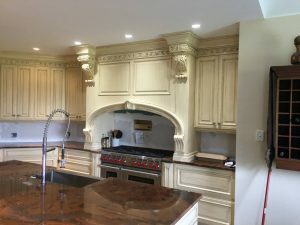 Getting the job done at longtime customer Oakridge Millwork ! 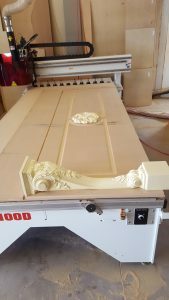 Chris Mancuso, CNC Automation‘s Ontario East Sales Manager & Joe and Leslie from the CNC Service Team are working hard at longtime customer Oakridge Millwork… solving problems on their trusty older Model 40 Thermwood router. Way to get the job done Boys! http://www.cncautomation.com/wp-content/uploads/2016/01/20151223_105242.jpg 2988 5312 admin http://www.cncautomation.com/wp-content/uploads/2018/02/Logo284x104.jpg admin2016-01-04 16:34:332016-02-19 22:50:37Getting the job done at longtime customer Oakridge Millwork ! 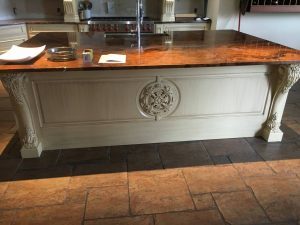 CNC Automation’s Eric Ouellet was very busy last week, installing & assisting with production at Triangle Kitchen… they’ve got some great new Woodworking Machinery ! 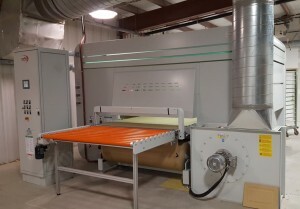 Congrats to Triangle Kitchen on you new Thermwood AutoProcessor 510, Cefla Prima, Omal Velox 1300 & RazorGage Cyclone 600 Upcut Saw… looks like 2016 is going to be a great year ! CNC Automation is continually striving to provide the very best service and expertise, in order to build your Optimized Workshop together ! ICM Intelligent Cell Management, let it take you to the next level ! Having trouble putting all the pieces of the puzzle together? ICM can take you to the next level! Featuring easy to follow SCREEN SOFTWARE & INTELLI CARTS equipped with LED Lights that turn on to identify loading section. 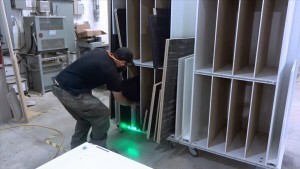 ICM Intelligent Cell Management can help with it’s ability to sort your jobs by product color or by urgency. ICM removes the guesswork so your Team can focus on production and quality. 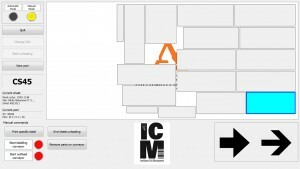 ICM can also help Build a Better Workshops by integrating your current machinery. http://www.cncautomation.com/wp-content/uploads/2013/04/ICM.jpg 430 1000 admin http://www.cncautomation.com/wp-content/uploads/2018/02/Logo284x104.jpg admin2015-12-18 16:17:572015-12-21 15:25:02ICM Intelligent Cell Management, let it take you to the next level !